Last week a computer glitch at the air traffic control centre in Swanwick, Hampshire, caused a partial closure of UK airspace. Flights were grounded across the country, and the knock-on effect left thousands of passengers awaiting their flights with no idea about when they might be able to leave. Even after the problem was rectified, delays extended throughout the evening and into Saturday morning, where there were nearly 40 cancelled flights and there was a backlog of flights to clear. For many passengers this may have been the first time they have been affected by something like this, but we all know that it doesn’t take much to disrupt the flow of traffic through the UK airports, especially the major ones such as London Heathrow and Gatwick. When situations like these do occur it is important to know where you stand when your flight is delayed or cancelled; whether it be due to weather, technical difficulties, or problems on a more severe scale. 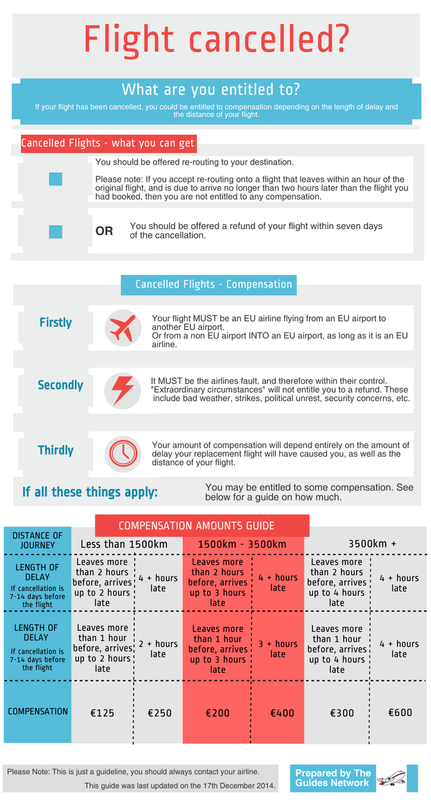 Below are some infographics prepared by the Airport Guides Network which may come in useful to find out what you are entitled to should your flight be delayed or cancelled. 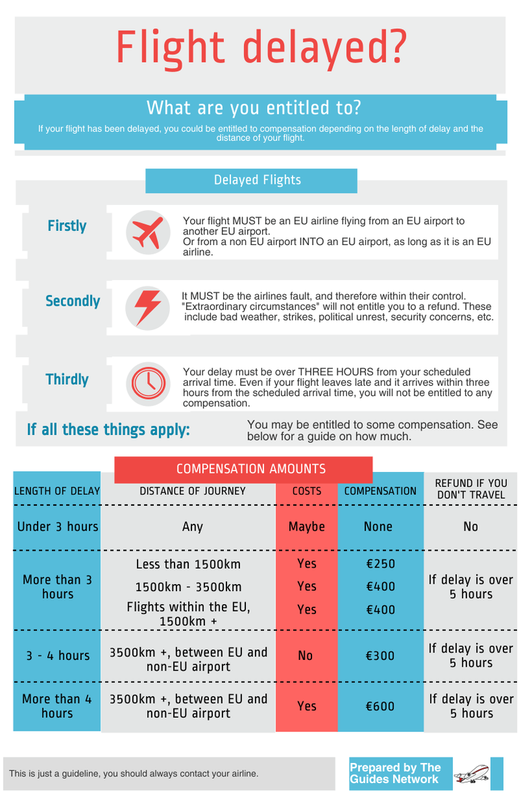 With Winter encroaching, the threat of disruptions to flights are ever more real, so it really pays to know what you can do during such stressful times.